Antonio Valencia has given up the most prestigious shirt in Manchester United’s history after a difficult year wearing the number graced by five of the club’s greats. George Best, Bryan Robson, Eric Cantona, David Beckham and Cristiano Ronaldo have made the No. 7 shirt particularly prized at Old Trafford. 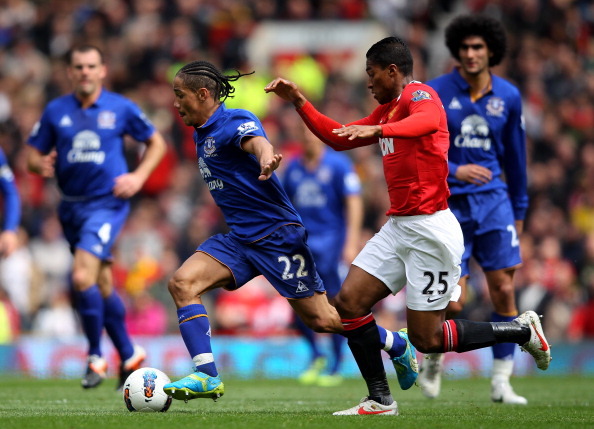 And it was handed to winger Valencia after an excellent 2011-12 campaign when he was named United’s Player of the Year. However, the Ecuador international struggled with injuries and form in the shirt last season, and wore it for the final time in Friday’s 3-1 defeat to Sevilla. When he came off the bench in Sunday’sCommunity Shield win against Wigan, he was wearing the No. 25 shirt that he wore in his first three seasons at United, after requesting a change. It leaves No. 7 vacant and raises the possibility that manager David Moyes will give it to a marquee signing, if he can secure one, although No. 9, last worn by Dimitar Berbatov, is also unoccupied.